Kathleen has a Bachelor’s Degree in Geology from Indiana University. Her first major work experience was in the oil fields of Texas and Louisiana as a mud logging geologist. She began her career with the USGS as a field technician and then a hydrologist. 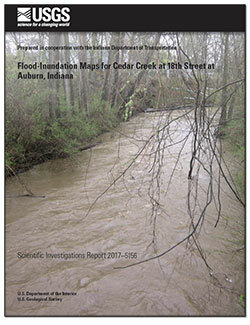 Kathleen has experience in both ground-water and surface-water hydrology. She has created GIS databases for military bases within Indiana. She has applied GIS techniques to classify hydrogeologic data for use in the ground-water model, MODFLOW. She led projects to compile hydrogeologic and water-quality data for the St. Joseph Aquifer System and sediment transport along a stream in that area. 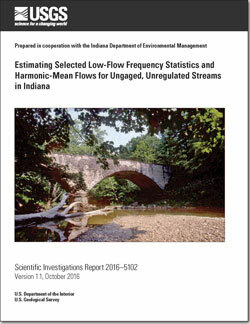 For Indiana’s Source Water Assessment, Kathleen surveyed and described intakes at most of Indiana’s surface-water suppliers. She has participated in mercury studies in litterfall, precipitation, and streams. 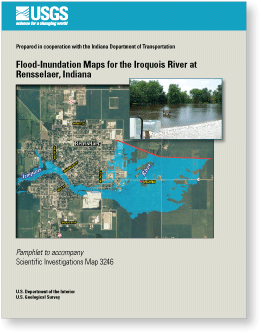 Her most recent work has involved flood inundation mapping, low-flow characteristics estimation, and regional regression analysis for low-flow estimation at ungagged sites. 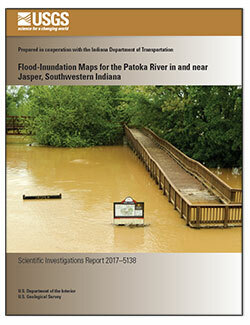 She is an active member in Indiana Water Resources Association and is a Licensed Professional Geologist. 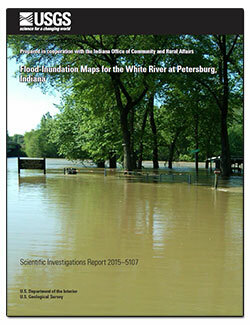 • Flood inundation report, documentation, and review experience: Experience with fast turn-around reports, “Flood of September 2008, Northwestern IN” and “Flood-Inundation Maps for Kalamazoo River, MI”, both reports were delivered within proscribed timeframes and within budget. 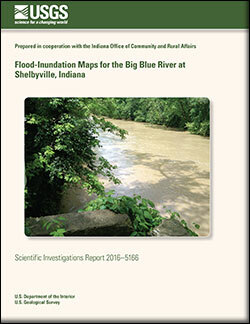 Familiar with Flood Inundation Mapping Initiative (FIMI) map and report requirements. 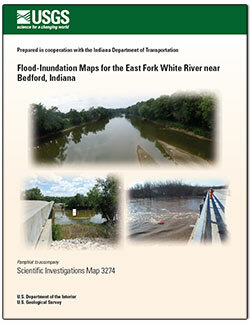 Modified September 2008 Flood Study to comply with FIMI model to become part of the Flood-Inundation Initiative Pilot Project. Reports display data in tables, graphs, and maps. Experience as project chief for studies including low-flow characteristics, water quality, sediment yield and transport, and flood documentation and inundation mapping. 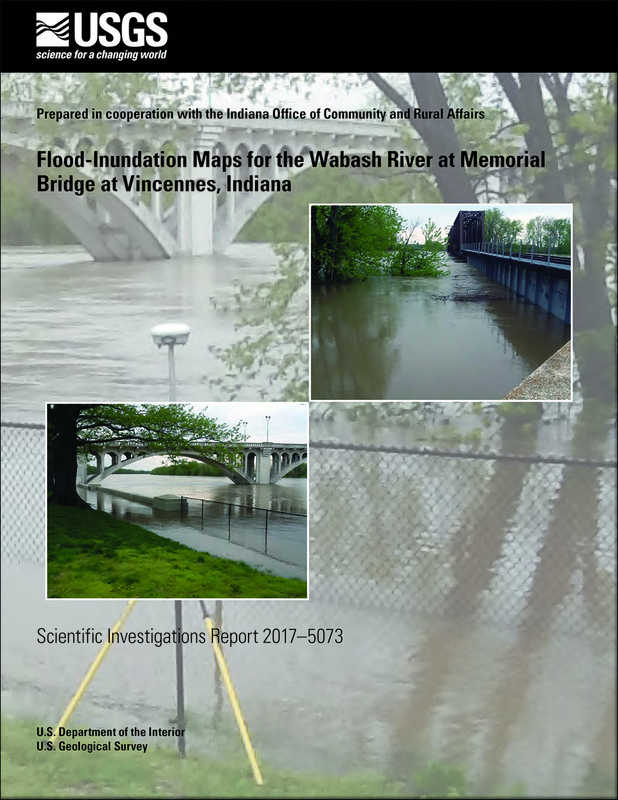 • Technical meetings and oral presentations about flood inundation: Oral presentation on flood-inundation work at 2010 Indiana Association for Floodplain and Stormwater Management (INAFSM) Conference. Attended FIMI conference in Louisville, KY in December 2010.Mercury wet-deposition monitoring: Team leader for Indiana Mercury Deposition Network sites • Mercury in litterfall: Refined network design of sampling sites; maintained Indiana samplers • Mercury in Indiana surface-water: Contributed GIS analysis and lab processing of samples • Mercury in Indiana reservoirs: GIS work for sampling network design • Mercury Wet Deposition in the North American Great Lakes Region (GIS work to develop isopleth maps of precipitation and mercury deposition - 25 maps) • Green Valley, Indiana Project (Prepared single-well aquifer test package for regional review) • NAWQA Cambrian-Ordovician Principal Aquifer Synthesis Report (GIS and water-quality data processing and preparation for analysis) • Project chief for low-flow study. 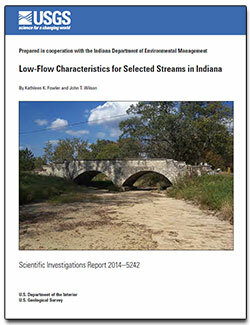 Low-flow Characteristics of Indiana Streams. 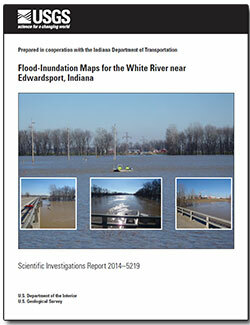 • Provide Geologic Names Reviews for Indiana WSC. 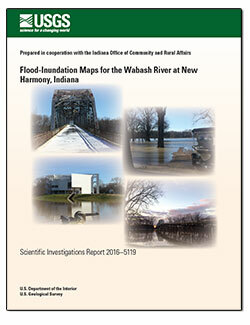 Fowler, K.K., 2016, Flood-inundation maps for the Wabash River at New Harmony, Indiana: U.S. Geological Survey Scientific Investigations Report 2016–5119, 14 p., http://dx.doi.org/10.3133/sir20165119. 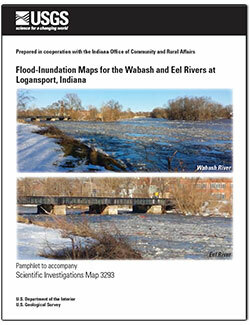 Flood inundation maps for the Wabash and Eel Rivers at Logansport, Indiana; 2014; SIM; 3293; Fowler, Kathleen K.
Fowler, Kathleen K.; Bunch, Aubrey R.
Flood-inundation maps for the Iroquois River at Rensselaer, Indiana; 2013; SIM; 3246; Fowler, Kathleen K.; Bunch, Aubrey R.